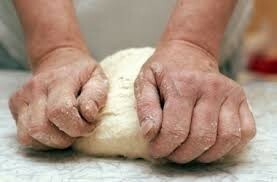 Kneading is when you are folding the dough, pushing down the dough, getting all the air bubbles out. Baking soda is a leavening agent with yeast bread it produces gas. 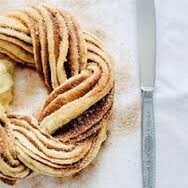 It makes the yeast dough rise. Be sure to let it rise for about 15 minutes, so then you can bake it.